John has worked or campaigned in the transport field for the last 30 years. He has worked for HACAN, the organization representing residents under the Heathrow airport flight paths, since 2000. He chaired the coalition which defeated proposals for a third runway at Heathrow, and chaired AirportWatch, the national network of groups opposed to airport expansion. He now chairs UECNA, the pan-European anti-airport-expansion network. John is currently a member of the board of the Campaign against Climate Change. 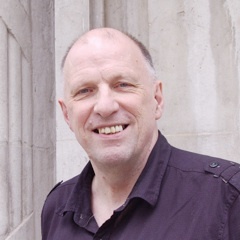 His publications include Roads for People: Policies for Liveable Streets and Victory Against All The Odds: The Story of the Campaign to Stop a Third Runway at Heathrow. DAN GLASS was named one of the UK’s youth climate leaders by the Guardian, and one of Attitude magazine’s 66 new role models for helping bridge LGBTQ and environmental justice movements. The grandson of four Holocaust survivors, he’s perhaps best known for having superglued himself to the Prime Minister to draw attention to communities impacted by aviation and climate change. Dan revels in creating militant but cheeky ways to be a thorn in the side for those destroying the planet — sticking himself to the Prime Minister in 10 Downing Street, occupying airports, dancing with old ladies blighted by flightpaths, and working with aviation justice direct action network Plane Stupid. Dan was a member of Scotland’s Climate 9, and now works with So We Stand, a campaign to bring together anti-racism, anti-poverty, and anti-climate change struggles. Dan spent the past five years doing inner-city community and youth organizing in Glasgow, Manchester and London, working with communities of color disproportionately affected by polluting industries. Dan speaks regularly on direct action, environmental and climate justice, climate racism, queer ecology, and organizing for action.